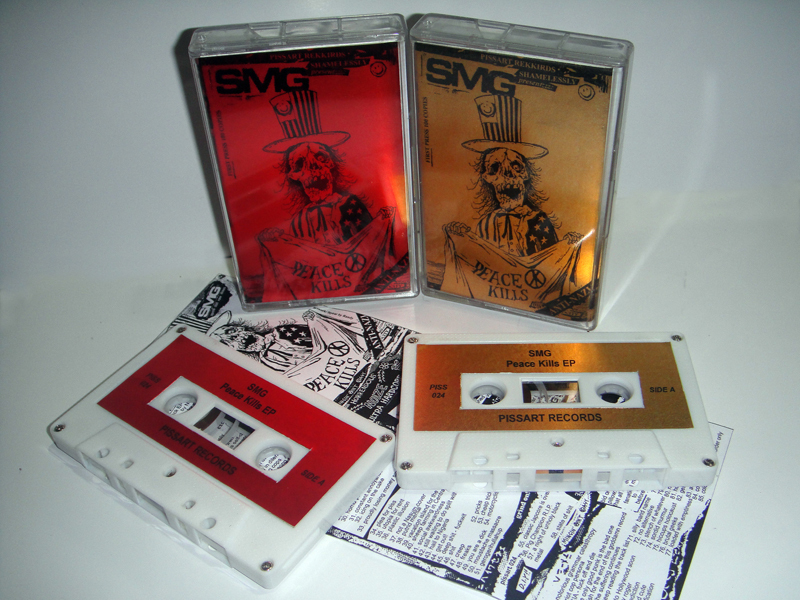 SMG Peace Kills cassette EP! Hello dear punks! we just got a hold a bunch of newly release cassette EP my local lo-fi gindcore heroes SMG! 93 tracks of mayhem lo-fi grindcore for your ears to bleed. 2 colors cover (metallic red or gold). These babies are available for RM6 at shows or by hand, or RM7 postpaid for local orders! Next Post Huge distro updates for the month of May!